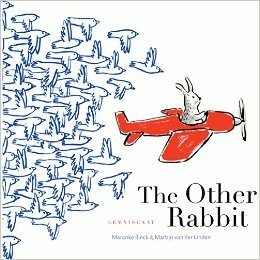 In a world where everyone has a counterpart, Rabbit is searching for the Other Rabbit. He flies through the air, walks across the land, travels across the sea but still he cannot find him. Finally, he learns that the Other Rabbit is on another island and that the dragon who lives there won't let him leave because he is afraid of being lonely. Rabbit comes up with the perfect solution and no one is lonely again.